There are many reasons for Albania to be on your bucket list for 2018, as recommended by prestigious travel magazines. 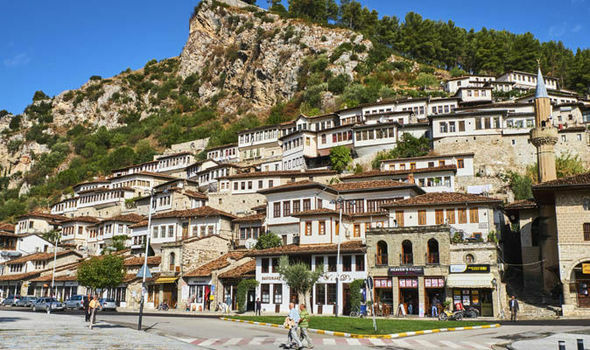 This time, it is the British media Express UK that promotes Albania as a new hot spot for 2018. 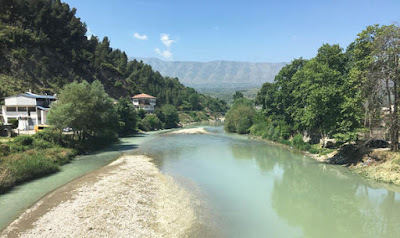 “Within sight of Italy and Greece, Albania it is an easy-going place with welcoming people and a land stacked with natural and ancient treasures.” writes Maisha Frost, the author of the article. But following the Second World War Albania, a country on the edge both physically and culturally, came under the iron grip of Communist rule. Raw traces of those brutal years remain, most dramatically in the shape of concrete nuclear bunkers, mushroom-like humps that mark the landscape. 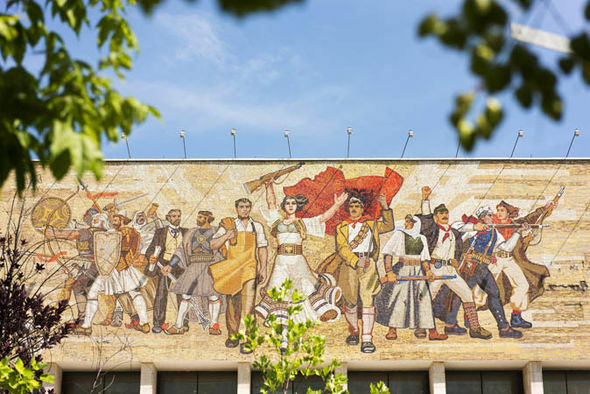 One of the most intriguing cities in Albania is its capital Tirana. Tirana is lively and safe and rather surreal. Part Mediterranean, part Soviet relic its rainbow-coloured apartment blocks, painted on the orders of a former mayor to bring some cheer, is more faded pastel these days. 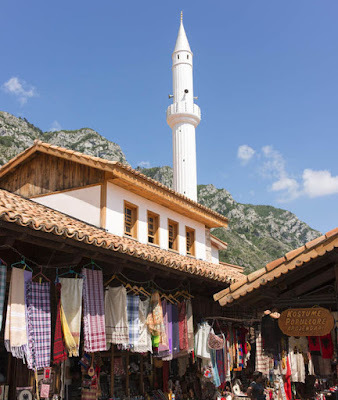 The city’s cultural highlights include a triumphalist history mural guarding the entrance to the classical, artefact-packed national museum and the pretty 18th-century Et’hem Bey mosque’s minaret and rare floral mosaics. Just after a steep bend the scenery changes dramatically and for a moment I thought I had time-travelled to Game Of Thrones land as Kruja’s fortress ramparts reared above. Through a great stone archway lies a bazaar with low, long-eaved timbered houses and busy cobbled alleyways. 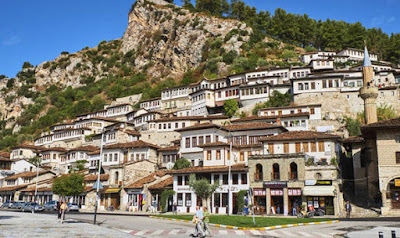 Beyond is the tower and castle, now a museum full of sculptures and homages to Skanderbeg who fought the Ottomans and for a while reunited Albania. Dating back to the 4th century BC, the city’s seven-arch Gorica bridge, a favourite Ottoman masterpiece, spans the Osum river and tiers of white gabled houses climb steep cliffs to its citadel. There towering walls form a hilltop cradle for ancient mosques and eight medieval churches, one housing a stunning collection of icons. My amble took me to the 18th-century traditional Ottoman home that is now the city’s Ethnographic Museum. Behind its covered verandas I got a glimpse of what communal life was like until just a few decades ago as men pressed olives and the women wove cloth and waited on them.